Our latest dispatch from the front line of wine. This month we quizzed our Most Wanted Insiders on common wine myths and whether they thought they were fact or fiction. Here’s how they scored. 65% said myth. A hearty red is the traditional go-to for steak. Those things called ‘tannins’ you always hear wine experts go on about, bring out the flavours of the steak, whilst the fat in the steak softens the tannins to bring out the best in the wine. Teamwork. You can also go for a bigger, richer white wine. It’s not a classic pairing but still works if red is not your thing. But it’s great to see you’re not getting bogged down with the dos and don’ts of food pairings and sticking with the wine you enjoy. The jury is still out with our Insiders on this one. 74% of our Insiders stood by this one and the belief isn’t misplaced. 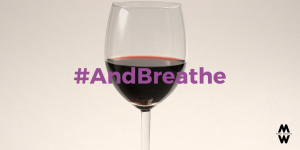 The short of the long is; when red wine is left to ‘breathe’ and mix with oxygen, the flavours are softened in a good way. By decanting the wine and leaving it to breathe for 1-2 hours, it allows the wine to come back to life after being cramped up in a bottle. No need for a fancy decanter, a normal jug will do the job! A whopping 95% of you went false and of course you’re right. There’s nothing out there to back this up, it’s down to your personal wine preference. We all love a savvy find so the fact than we can have our bargain and enjoy drinking it too is enough to get us up and out at the weekend. Cheers to that. So there you have it, the answers to our top wine myths, as promised. Let us know if you’ve heard any bizarre wine facts/myths @Most_WantedWine. Subscribe to our newsletter for offers and updates.